The Blob Site » Blog Archive » BLOBFEST Dates Announced!!! 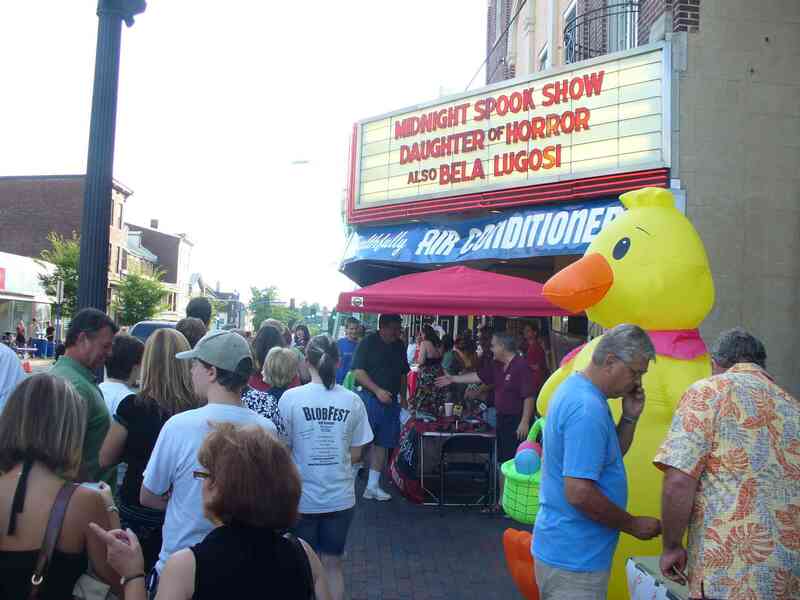 Mark July 13th to the 15th on your calendars, as that is the weekend that the Colonial Theater will be throwing this year’s BlobFest! The Colonial has only just announced the dates this evening at their Facebook page, so there are no more concrete details. But judging by what has gone down at past BlobFests, you know that there will be plenty of fun to be had. Keep checking back with us for more information either here or on our Facebook page. This entry was posted on Friday, February 10th, 2012 at 12:40 am	and is filed under BlobFest. You can follow any responses to this entry through the RSS 2.0 feed. You can leave a response, or trackback from your own site. Maxblog | Design: NET-TEC Artikel of Shops. Coding: Wohnmobil Verkauf of Treppenlift Kosten.